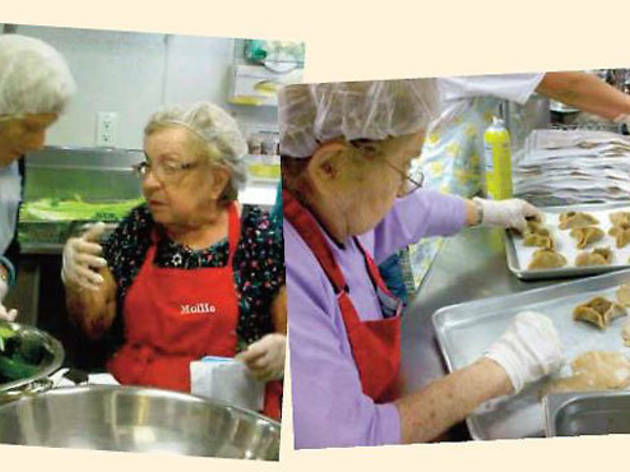 Project Chicken Soup founder Mollie Pier. If your usual Sunday brunch has you feeling a bit guilty afterward, here's your chance to feel good. Join Project Chicken Soup for their first annual awards brunch honoring founder Mollie Pier and featuring the food of acclaimed Los Angeles Jewish chefs Susan Feniger (Street), Eric Greenspan (The Foundry), Alex Reznik (FigOly), Akasha Richmond (Akasha), Suzanne Tracht (Jar) and Evan Kleiman, as well as catering by Pnina. The kosher meal will be supervised by Rabbi Yonatan Benzaquen, and entertainment will be provided by the Gay Men's Chorus of Los Angeles. Pier began Project Chicken Soup in 1989, shortly after her son Dr. Nathaniel Pier died of AIDS. The organization delivers free, nutritious, kosher meals to those living with HIV/AIDS, cancer and other serious illnessnes. 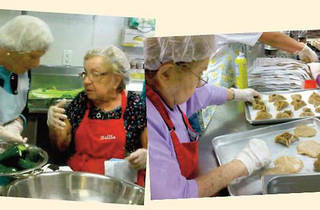 The non-profit is entirely volunteer-supported and provides meals to all people, regardless of faith or religious belief. Proceeds from the awards brunch directly benefit the organization, which delivers grocery bags with 10 meals to 125 people two Sundays a month.